The decades-long tracking of flying birds reveals that body size and flight styles determine the scale of birds' migration, as predicted by the aerodynamic theory of bird flight. Dr. Yuuki Watanabe, associate professor at the National Institute of Polar Research, Japan, compiled the migratory tracks of 196 species of flying birds recorded by electronic tags during the last few decades. 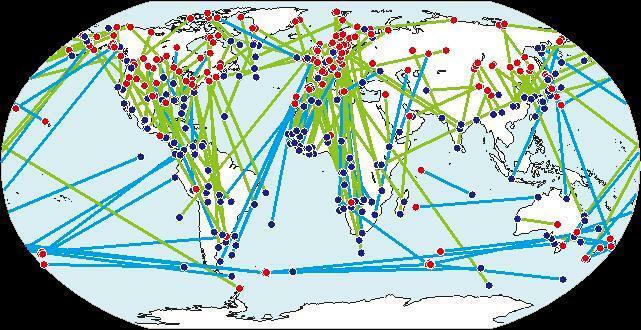 He demonstrated that the complex migration patterns could be explained by a simple energetic theory. Increased energy consumption of larger flapping birds, such as cranes, geese, and swans that migrate between Japan and Siberia or travel similar distances in other parts of the world, limits their migration to shorter distances. In contrast, migration ranges of soaring birds, illustrated by raptors, vultures, and albatrosses that migrate globally with minimal energy consumption, are larger than those of flapping birds and independent of body size.